"There's boxes everywhere. But somehow the driver was OK," a passenger said. 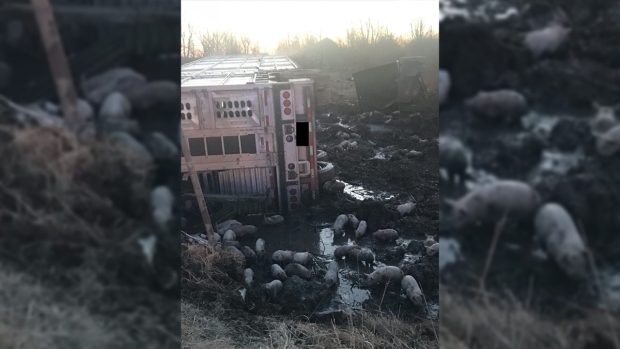 An Amtrak train collided Friday afternoon with a tractor-trailer carrying 70,000 pounds of bacon that was obstructing the tracks, officials said. 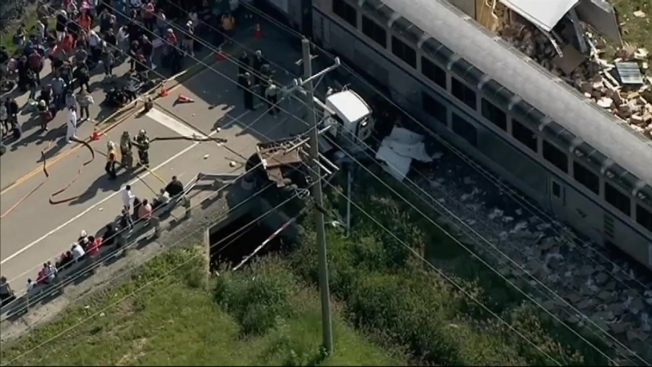 The train was passing through Wilmington, southwest of Chicago, when it collided with a truck near Illinois Route 53 and River Road. The trailer of the truck was overturned and split open, with its contents strewn about an embankment. 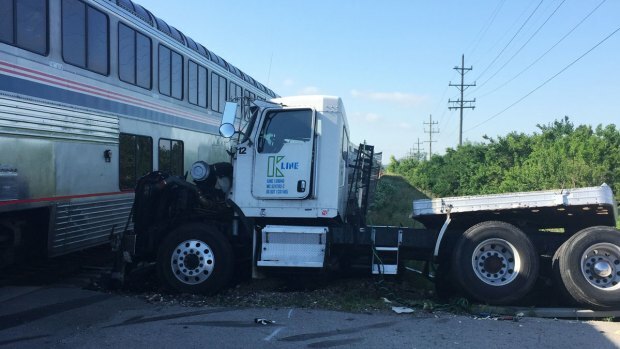 The cab of the truck was separated from the trailer and came to rest on the opposite side of the train. There were no reported injuries to the train's crew or its 203 passengers, but 10 ambulances were called to the scene. The train, Texas Eagle Train 22, left San Antonio on Thursday bound for Chicago, passing through St. Louis earlier Friday morning. 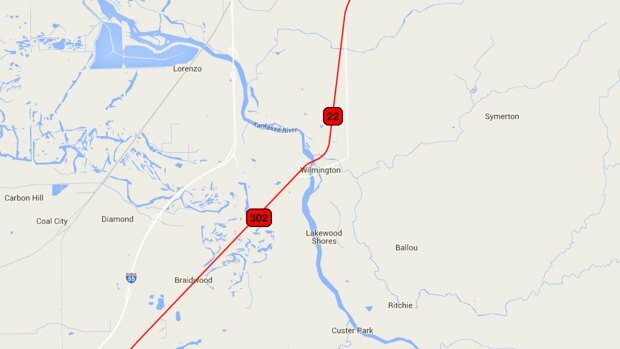 The collision means Train 302, which was already more than four hours late as of 5 p.m., is delayed even further. Passenger Sam Herwitz said there was an impact followed by confusion when the train stopped and there were no crew announcements for about 20 minutes. "No one knew exactly what we were supposed to do. We didn't really know if we'd hit something or we had just done a brake-check kind of thing," he told NBC Chicago. Herwitz said another passenger next to him bumped his head on the seat in front of him and that he saw a woman transported to an ambulance. The driver of the tractor-trailer, he said, walked away from the crash. "There's boxes everywhere. But somehow the driver was OK," he said. "The truck that hit the train is in pieces." Herwitz said passengers were being shuttled on buses to Wilmington High School.